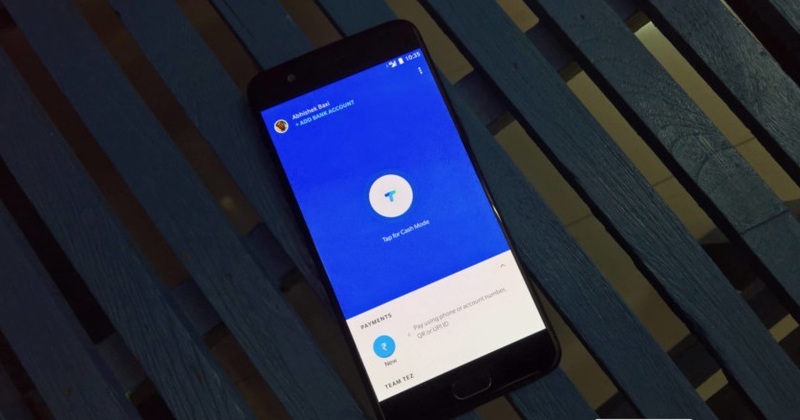 Tez payment app is finally launched by Google India. It is Google’s smart initiative to leverage India’s booming cashless economy .It will enable users to do the payments as well as send and receive money by use NPCI’s (National Payments Corporation of India) Unified Payments Interface (UPI). Pre-requisite to pay with this app is simply a local phone number and an Indian bank account number. Tez is India specific app that allows users to do direct payments in 55 Indian banks from one account to another. The app is offered in seven Indian languages that include Hindi, Gujarati, Kannada, Marathi, Tamil, Telugu and English. It is a bit different from existing popular payment solution and doesn’t require Aadhaar verification thereby making the digital payment even more simpler. The app syncs the contact list of users that allows users to initiate a transaction by simple search for name or phone number. After a contact is listed on Tez app user won’t need to add beneficiaries or input the bank account details like account number or IFSC code. If the payment is to be done to someone missing from the contact list it is possible with UPI ID or bank account number. The app is now available only on Google Play Store and iOS App Store. Mobile payment apps are playing a vital role in revolutionizing the digital landscape. Tez is one such effort by Google to push digital India towards it’s goal. Waiting for your views and query in this regard. A user-centric solution on cutting edge technology is required not only to enhance customers experience or boost your brand but also to give you a competitive edge as well as realize the potential of latest online business solution in various domain for ensuring stability and rocket sky the ROI. Singsys boasts best-fit developers, designers that were key to partner with multiple Fortune 500 firms for on time delivery of industry oriented web, mobile and e-commerce solution always.